Cummings joined Bank of America in 2003 as the Technology Service Delivery Manager and then as the National Pricing Manager. She has been in her current position, where she manages non-profit strategic relationships and the bank’s Connect to Own fee-for-service program, since 2008. 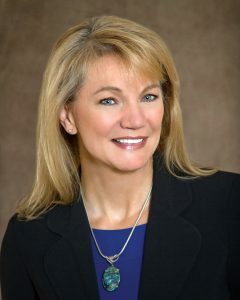 Cummings, University of Missouri-St. Louis alumna, brings over 25 years of experience to AMDC, with previous positions at National Production LOS, JPMorgan Chase, Wells Fargo, and Prudential Home Mortgage. Beyond her career at Bank of America, she volunteers in underserved communities, is a member of the Community Link Board of Directors, NCHEC Advisory Council, and the National Industry Standards Advisory Council. “Having someone of Kathy's accomplishment join AMDC as co-chair is further evidence of how this organization brings leadership to the forefront,” Ed Delgado, President and CEO of The Five Star Institute said. For more information on AMDC, you can visit their website here. The AMDC will be meeting at the 14th annual Five Star Conference and Expo at the Hyatt Regency in Dallas, Texas, September 18-20. For more information on the conference, including how to register, click here.